If you’re looking for a doll mansion, but don’t quite have the cash to cover it, we’ve found something that will give you the high roller lifestyle without the need to take out a doll house mortgage. 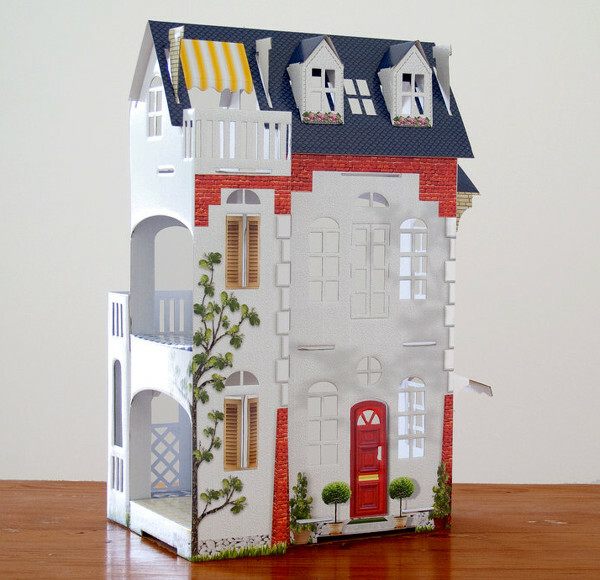 In fact, you can make yourself a doll house city with the affordable and gorgeous houses at Etsy’s Paper Imagination Shop. At the time of writing, there are three slightly different houses available, all of them ready for you to easily fold and put together yourself. They’ve been pre-cut, pre-creased and sealed so it’s just a matter of folding and slipping the pieces into place. 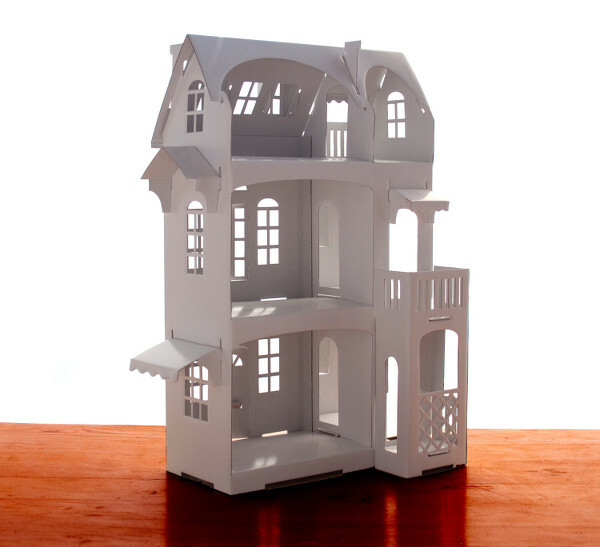 The classic white of the Cardboard Luxury doll house (top) looks pretty special as it is, but if you feel inclined, you can let your child unleash their creative instincts all over it. The mini-Frank Lloyd Wright at your place can decorate this blank canvas however they like, or use the printed decorations which are supplied as part of the kit. 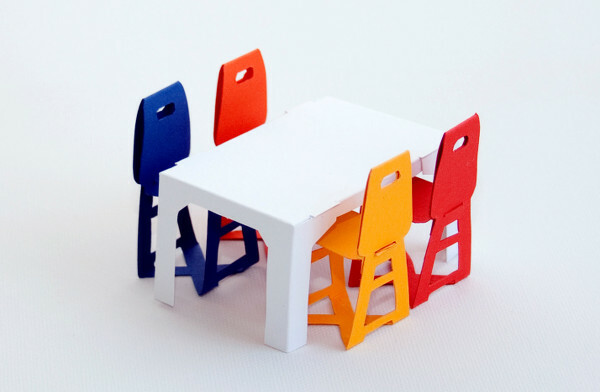 Also available at the Paper Imagination Shop is this cute and colourful dining suite (below), for just $10. I could not love it more. If you’d rather not decorate yourself, the Cardboard Dollhouse (below) arrives with decorations already printed on it. Each house is three storeys tall, so there’s plenty of space to play, and with cute touches like porticos and awnings, they have a bit of an old world feel to them. Check out what’s available and buy directly from Paper Imagination Shop. Prices for cardboard dollhouses begin at $22.